What a pleasure for my husband Jim and me to visit Menorca and drop in on the life Susan Unger has made for herself there. 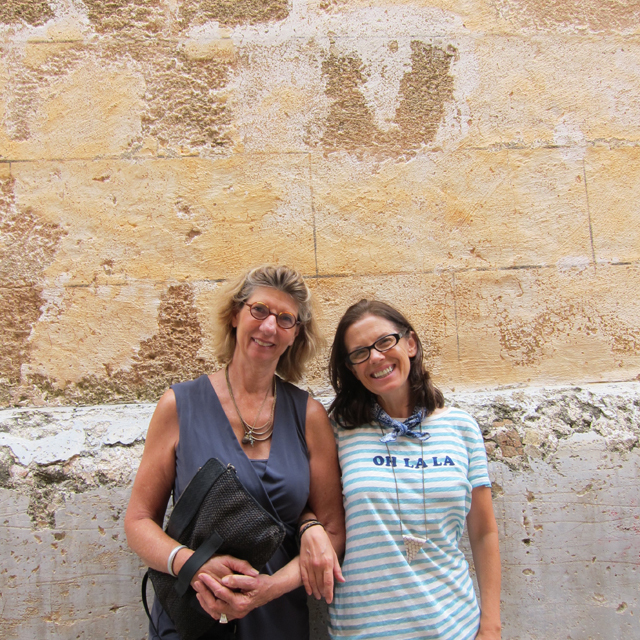 I first met Susan on Menorca 20 years ago when I visited the island with a friend. I was happy to find the island still pristine and beautiful, and to see that 20 years down the road Susan is still making her art on the island. Susan invited us to S’Olivera, the farmhouse she recently remodeled to be ultra comfortable but with the character of a centuries old, whitewashed farmhouse. 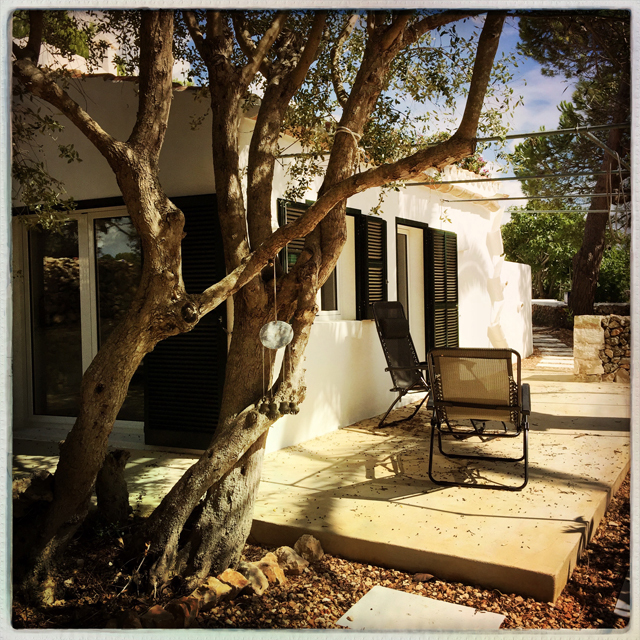 The house, surrounded by wild olive and fig trees, contains a studio where Susan works and where she has kept various pieces from the collections she has offered, a colorful archive of dresses, scarves and other silkscreened fabrics, including fashion and home accessories. We spent one afternoon exploring her archive treasures. Motifs of the island appear again and again in her creations– waves from the azure coves, grasses and insects, foliage, stone patterns and motifs from the island’s ancient culture. She showed me one of her first collection books she made to show clients. 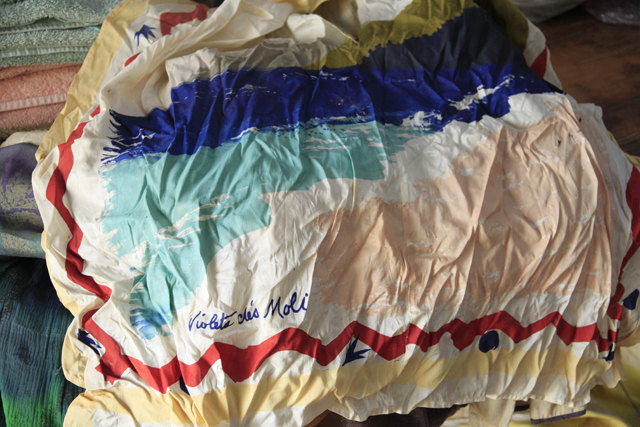 It proves how unwavering her artistic vision has remained whether she was doing beautiful silkscreened pieces as Violeta des Moli (Violet of the Mill in Catalan) in the late ‘70s and ‘80s, as Susan Unger in the ‘90s, or now, as she is producing with Ona as Binichic. 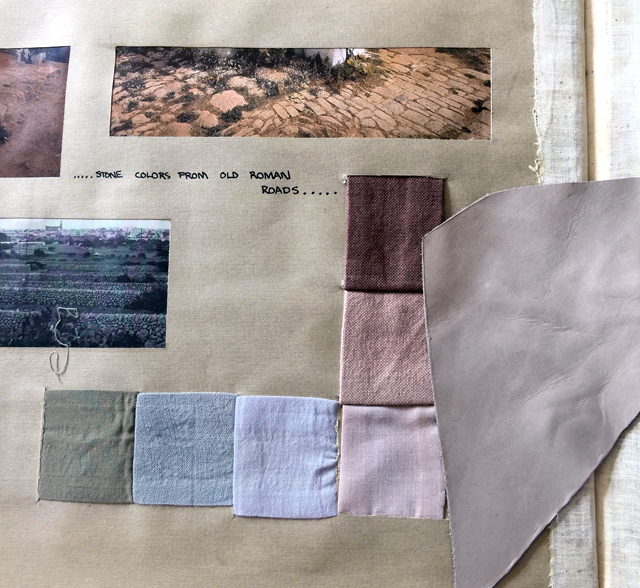 On the collection book, she placed a piece of leather she had chosen for Binichic’s spring 2016 collection next to a color palette from Violeta des Moli. The dusty taupe for next spring complements beautifully the shades from one of her first collections. For Susan, living on the island has always meant making art on the island. A photograph from 30 years ago of her workshop shows nearly a dozen people silkscreening, dyeing, cutting and pressing fabric for her creations. 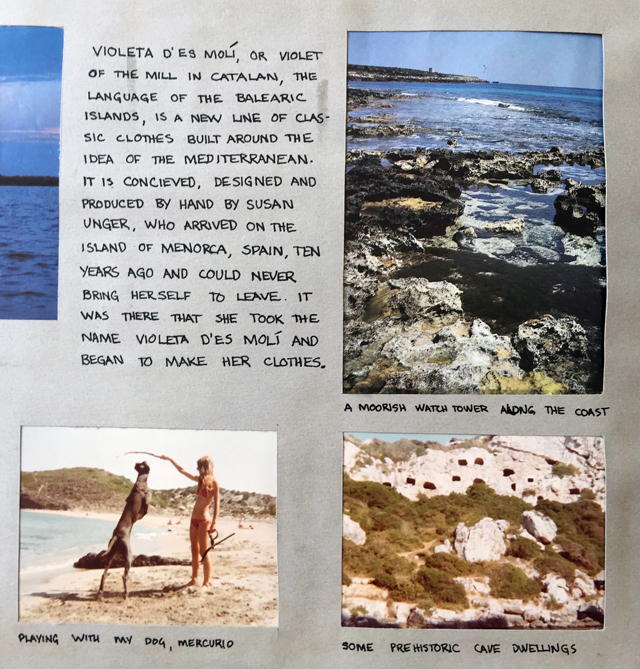 As we flipped through her scrapbooks, there were images of a lovely young Queen Sofia of Spain, wearing in the 1980s an Iris print blouse from Violeta des Moli. In those days, Susan’s collections were sold in some of the finest European boutiques including Cacharel in Madrid and Fiorucci in Barcelona. We admired, among the pieces, brightly color chiffons, a beautiful riot of colors. Many dresses exhibited what the French call “flou” — with flowing layers, creating a fluttering, romantic silhouette. As beautifully as her pieces move on the body, it’s not surprising she has designed costumes for many dance and ballet companies. 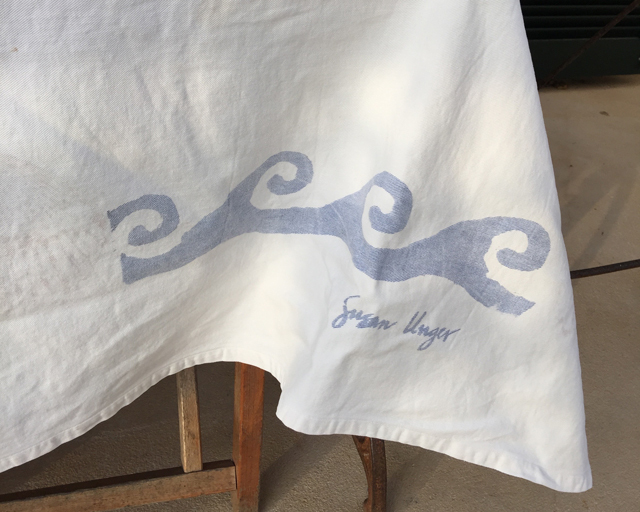 When I met her twenty years ago, Susan was just about to leave for New York City where she designed fashion and home collections under the label Susan Unger. 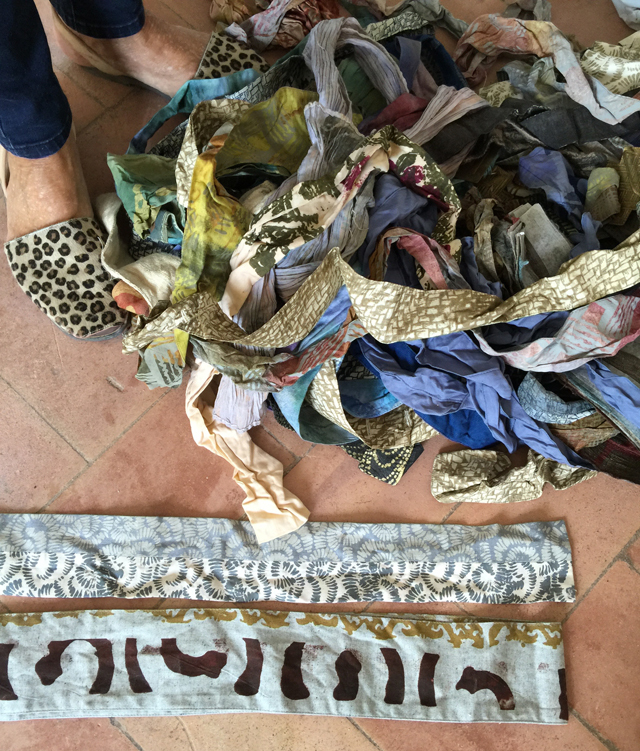 I was delighted to acquire a beautiful collection of her silkscreened dresses in silks and velvets. Bergdorf Goodman offered her pieces and Donna Karan used her Susan’s lyrical prints in her runway collections. (I told Ona that one day I would give her my Susan Unger pieces, but not yet, I’m still wearing them!) 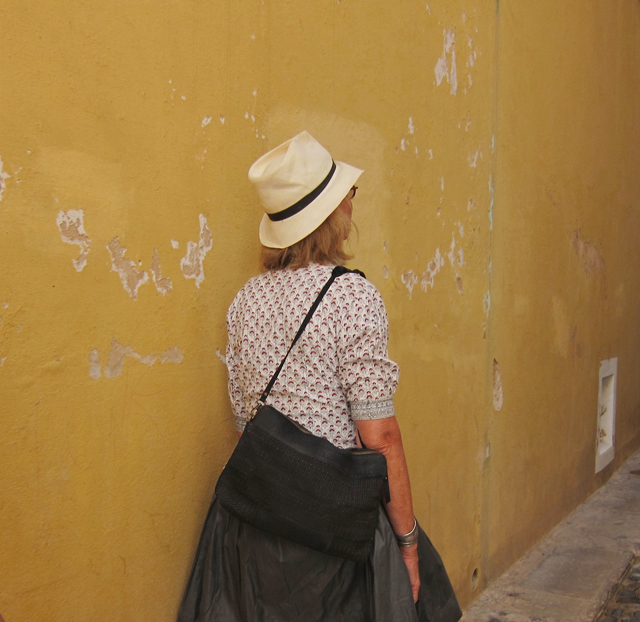 While working in New York City, Susan always kept her house on Menorca, truly her home and a well of artistic inspiration. The word artisanal is overused today in fashion and food, but Binichic is the real thing– made by hand in small quantities in beautiful Menorca. Binichic is even more of a family affair than I knew. In her earliest days on the island, Susan met and married the artist Marcel Villier, Ona’s father. 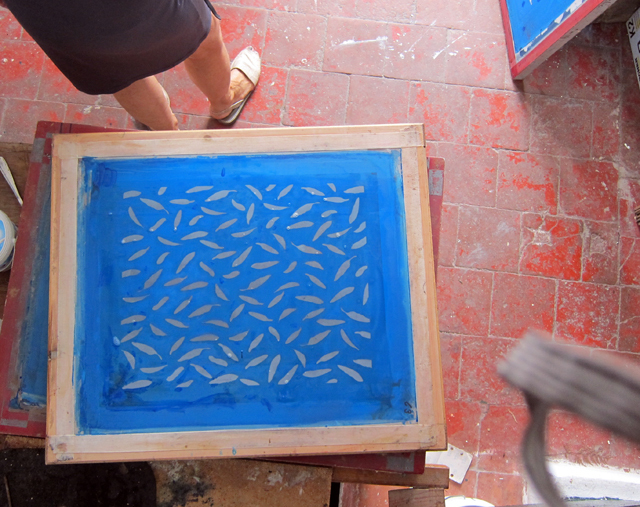 Marcel’s current wife Nuria works with Binichic, silkscreening leathers and coordinating production with Susan and Ona. One morning of our stay, Carlos– the man in Susan’s life now and the one she calls My Love– was helping her stretch a silkscreen for a spring ’16 print. And Ona’s daughter, Ariadna, is the inspiration for the Ari handbag. What a beautiful life Susan and Carlos have made at S’Olivera, interacting with a wide circle of family and friends, swimming in the clear blue waters, stargazing at night. 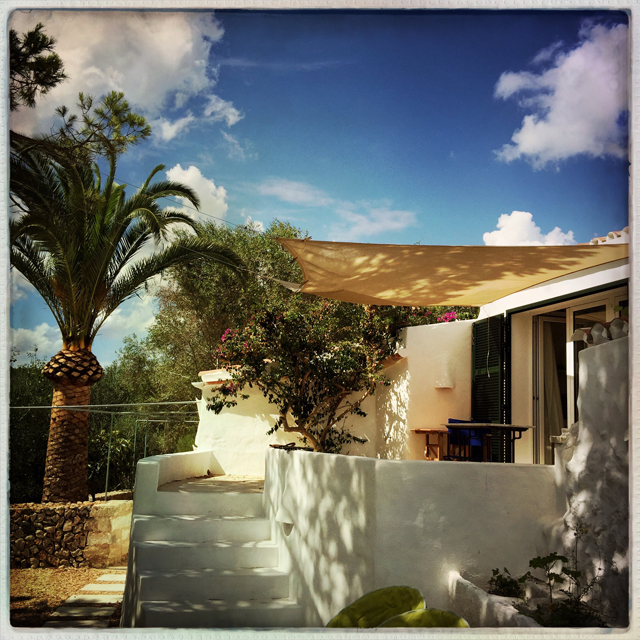 It was such a joy to see my friend living her dream on Menorca. We hope to return one day, ideally when a local museum curator on the island organizes a Susan Unger retrospective. That’s a fashion show I’d love to see! We’d like to thank Mary for her beautifully written post. 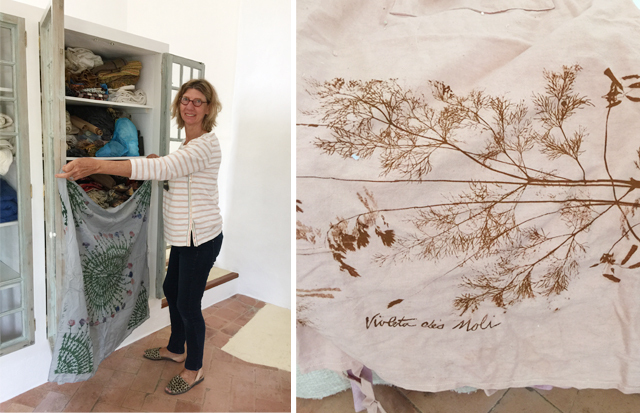 This entry was posted in Uncategorized and tagged adventure, art, artisan, binichic, design, fashion, history, home, inspiration, Mediterranean, Menorca, Susan Unger, textile, vernacular, vintage. Bookmark the permalink. Beautiful post! Love to see that Susan is back on the island creating art. hola. Sabeu on podria comprar roba de la Susan?